In these studies we will seek to look at some of the principles of how to interpret prophecy and other revelation in a practical way. •	Our privilege as a child of the king to search the mysteries of God. •	How to look at a situation from God’s perspective in order to avoid a false interpretation. •	How to do research into prophecy. •	How most prophecy is dependant on us playing our part. •	The importance of the prophecy fitting the person/situation. •	How to interpret symbols in prophecy. • How to place interpretation in the correct context. •	How to bring a prophecy to a situation. •	The criteria to use when judging and weighing a prophecy. Many people are given dreams, prophecies or pictures by God, but do not comprehend their significance. 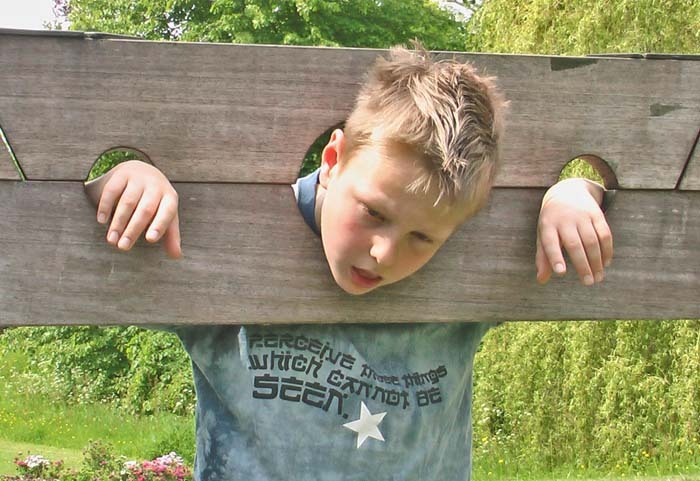 Instead of the revelation being a blessing, the situation can end up feeling a bit like they are in the stocks. Revelation is being thrown at them but they cannot understand why and what it means. The t-shirt provides the clue how to get out of the situation. When Jesus was on the earth He often spoke in parables Mt 13:34. He took after His Father in this! Proverbs 25:2 states “It is the glory of God to conceal a matter, but the glory of kings is to search out a matter.” We are kings and priests, and God hids things for us, not from us. When God speaks to us in parabolic ways he does it to stir up our inquisitive nature. When we search out the meaning of a hidden subject we make it ours. We own it in a way that would not happen if it was presented to us on a plate! 2. God is the only one who can interpret. 3. Bible is the best source. 4. Circumstances and knowledge can help. 5. Don't jump to conclusions. 6. Art or science? It'is only in part. 8. Remembrance of the past can help. 9. How to interpret symbols correctly. 11. Don't add or subtract. 12. All prophecy must witness. 13. What if the opposite happens. 15. Preparing to bring a prophecy. 16. How to bring a prophetic word.